We have been drawing rawing caricatures and cartoon illustrations since 1992 and we have grown to be the largest collective of caricaturists in Canada. With over 125 artists working in a variety of media. 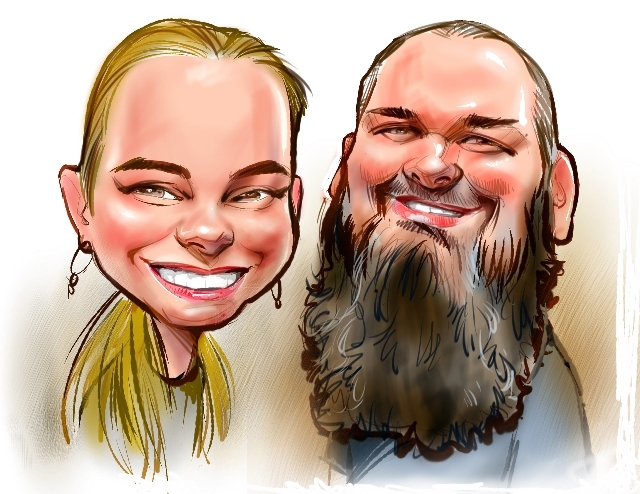 We draw traditional caricatures at events as well as live digital caricatures. From BC to Newfoundland we can se you up with digital caricature artist or a traditional caricature artist. Our group of caricaturists cover Victoria, Vancouver, Calgary, Edmonton, Saskatoon, Regina, Winnipeg, Toronto, Ottawa, Montreal, Quebec city, Halifax, Moncton, St Johns and any other spot throughout the country from Atlantic to Pacific.